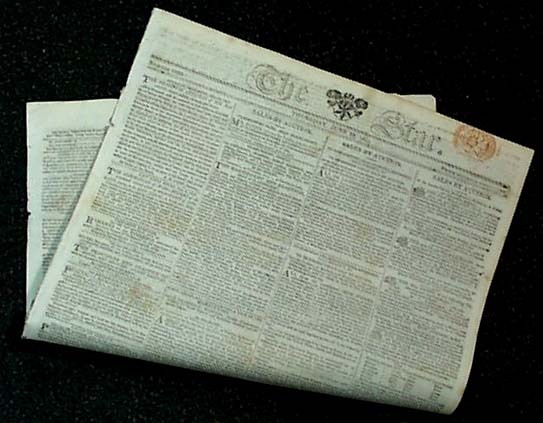 Item # 151416 THE STAR , London, England, 1813 This newspaper is in nice condition due to the use of cotton and rags when making newsprint at that time. This 4 page issue contains news of the day and various interesting advertisements which give a sense of what life was like during the War of 1812. This issue has a partial red-ink stamps on the upper right hand corner. See!